Always The Best. Nothing Less. Do You Run An Auction? Our pallets are perfect for you next auction. We offer a wide variety of merchandise. Do You Have An Ebay or Amazon Store? Make money with our products by selling on Ebay or Amazon. Add some of our products at your next yard or garage sale and boost your profits. If you operate an Ebay, Amazon store, a booth at the local flea market, or if you are just wanting some good merchandise you need to check out these guys! We are so excited to have such awesome pallets and great people to work with on the west side of town! 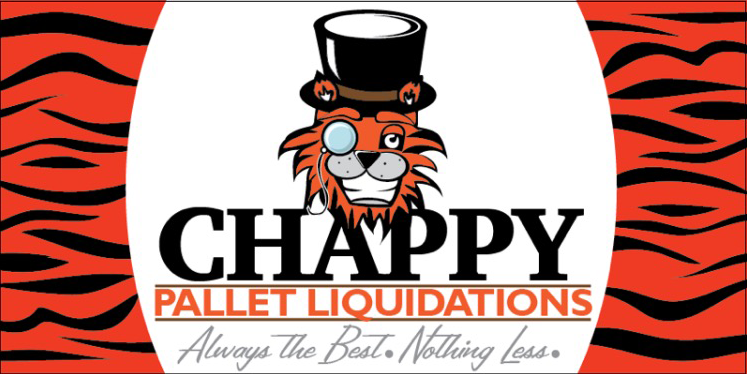 We are excited to announce the opening of Chappy Pallet Liquidations. We are selling wholesale liquidated merchandise from all the major retailers. The merchandise will be on pallets and the pallet will be sold whole. These items are seasonal, shelf pulls, overstocked and returns. We do not pick our pallets, the pallets come directly off the truck and are sold whole. We have a level of integrity that stands out from our competitors. Come see us today.